The latest sight-saving tools for early disease diagnosis and management are available at Eye Care Associates of Michiana. We assess your eye health using the latest diagnostic tools that allow your doctor to detect eye disease at its earliest and most treatable stages. Some of our tools include digital retinal photography, ultrasound pachymetry, computerized corneal topography, spectral domain optical coherence tomography (OCT), and threshold visual field testing. If you are diagnosed with an eye disorder, in many cases the specialized testing you will need is conveniently available at our practice so you can avoid traveling to the city or to an unfamiliar location for your disease management. Should you require an advanced eye disease specialist or surgeon, we will coordinate your care and refer you to a physician we have carefully selected and identified as "one of the best." Please click on the links below for more information about eye conditions commonly managed or co-managed with a disease specialist through our offices. 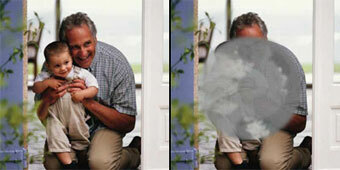 Glaucoma is the second leading cause of blindness in the United States. Sometimes called the silent thief of sight, glaucoma can damage your vision so gradually you may not notice any loss of vision until the disease is at an advanced stage. The most common type of glaucoma, primary open-angle glaucoma, has no noticeable signs or symptoms except gradual vision loss. Clinical studies have shown that the early detection and treatment of glaucoma, before it causes major vision loss, is the best way to control the disease. It's important to get your eyes examined regularly, particularly if you are considered at higher risk for developing glaucoma. This high-risk group includes those with diabetes, a family history of glaucoma, African Americans age 50 and over, and Hispanic-Americans age 65 and over. Age-related macular degeneration (AMD) is a chronic eye disease that causes vision loss in the center of your field of vision. Dry macular degeneration, the most common form of the disease, is marked by deterioration of the macula, which is in the center of the retina — the layer of tissue on the inside back wall of your eyeball. Macular degeneration doesn't cause total blindness, but it worsens your quality of life by blurring or causing a blind spot in your central vision. Clear central vision is necessary for reading, driving and recognizing faces. Although there is no cure for AMD, early detection is important to determine appropriate treatment for slowing disease progression. Diabetic retinopathy is a complication of diabetes that results from damage to the blood vessels of the light-sensitive tissue at the back of the eye (retina). The longer you have diabetes, and the less controlled your blood sugar is, the more likely you are to develop diabetic retinopathy. At first, the disease may cause no symptoms or only mild vision problems. Eventually, however, diabetic retinopathy can result in blindness.